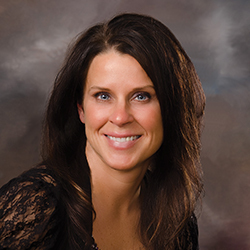 A Certified Physician Assistant, Rachelle (Shelly) Beseman has been practicing at Cuyuna Regional Medical Center since 2012. She is a Physician Assistant in the Pain Management Clinic Center. Her interests in medical care are many and varied, but she has an affinity for emergency medicine and tends to gravitate towards family medicine since the field allows for provider-patient relationships that are so rewarding. A native of Crosby, she joined CRMC after spending over 20 years in the United States Army, including nine years as a Physician Assistant caring for troops overseas and in the United States. Beseman received her Master and Bachelor of Science degrees in Physician Assistant Studies at the University of Nebraska Medical Center. She and her fiancée, Greg Barber, reside in Aitkin.